Pager Power was recently contacted by the operator of a large onshore wind farm who had received a letter from the national civil aviation authority. The concern related to a DVOR (Doppler VHF Omni Range) aeronautical navigation beacon which was found to be operating erroneously following a routine calibration flight. The DVOR had been switched off as a precaution. The aviation authority suspected the wind farm was the cause due to its location and alignment with respect to the beacon and consequently asked the wind farm operator to commission an investigation to determine whether the wind farm was to blame. Pager Power provided a proposal for undertaking the work and was promptly instructed. 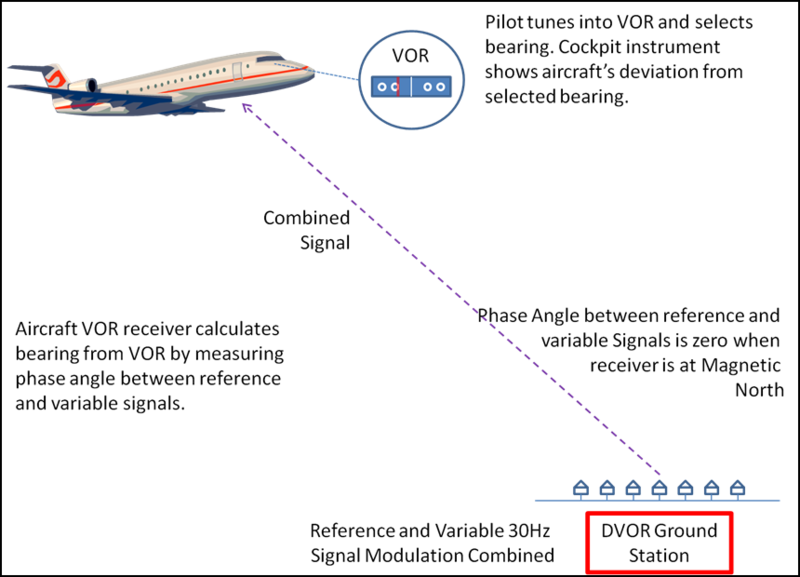 Pilots of aircraft tune into DVOR beacons so that they can accurately navigate their aircraft. Cockpit instruments indicate the bearing from the beacon to the aircraft with the bearing information being encoded in a radio signal transmitted from the beacon. The principles of operation are shown in figure 1. This particular DVOR is calibrated every year using test flights with bearing errors of up to 2 degrees being deemed tolerable. Bearing errors of over 2 degrees are however unacceptable. 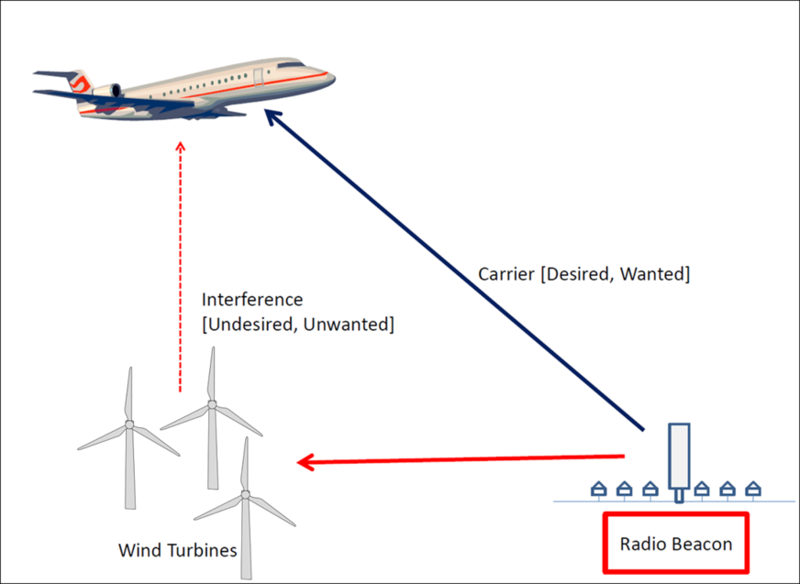 Wind turbines and wind farms can interfere with DVORs and other types of aeronautical radio navigation beacons. The main assessed interference mechanisms are usually blocking; reflections and emissions. The wind farm consists of eleven wind turbines having rotor diameters of 58 metres lying approximately 18 kilometres from the DVOR. The diagram on the page below shows how reflections from wind turbines can affect DVOR signals. The aviation authority was very concerned about the potential interference and required an assessment within two weeks. They were under pressure because this key navigation aid had been taken out of service due to its impaired performance. Furthermore the wind farm and DVOR were thousands of miles from Pager Power’s offices in the UK so it was necessary, if possible, to undertake a desk-based assessment without a site visit. For this investigation Pager Power undertook a range of analysis including International Civil Aviation Organisation (ICAO) Building Restricted Area (BRA) analysis; Radar Line of Sight Analysis; Diffraction loss calculations; Cross checking of times of reported interference with times of wind farm construction and operation as well as a search for other potential man made sources of interference. 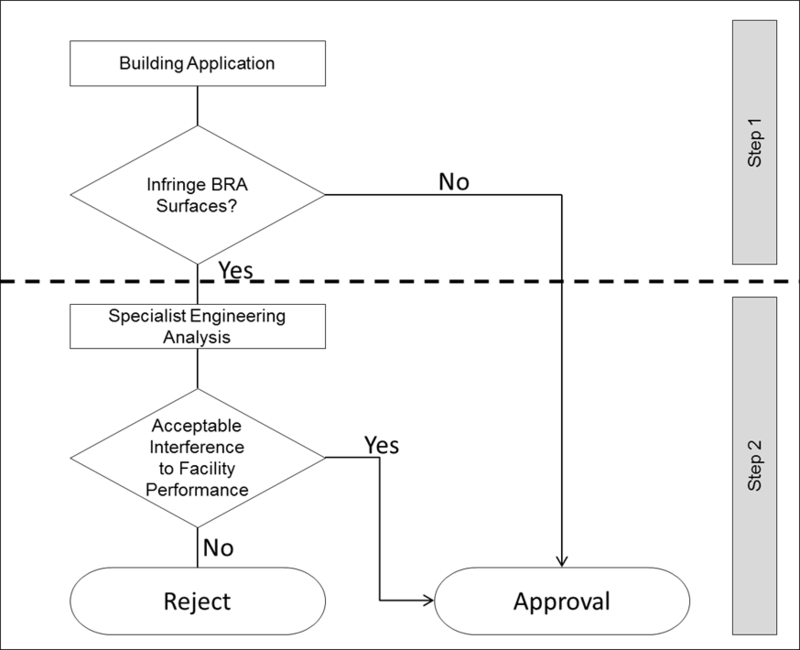 A flowchart for assessing infringements of BRA surfaces is shown in figure 3. The BRA analysis showed that all wind turbines were outside the DVOR BRA protection distance for wind turbines and the radar line of sight analysis showed that all turbines were completely shielded from the DVOR by terrain. Diffraction loss calculations showed that DVOR signals were weakened by around 25 decibels due to intervening terrain. 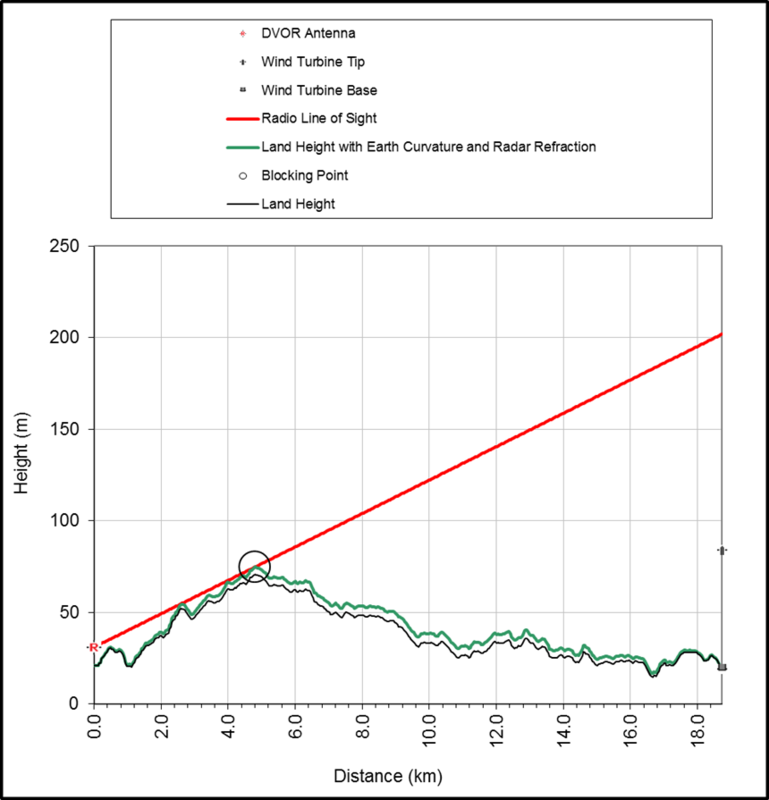 Figure 4 shows a line of sight chart for one of the turbines. Cross referencing of dates showed a discrepancy between the dates when interference was first observed and construction of the wind farm – interference was not observed when the wind farm was first built. Further research of the area immediately around the DVOR showed significant recent construction of buildings within 1 kilometre of the DVOR. 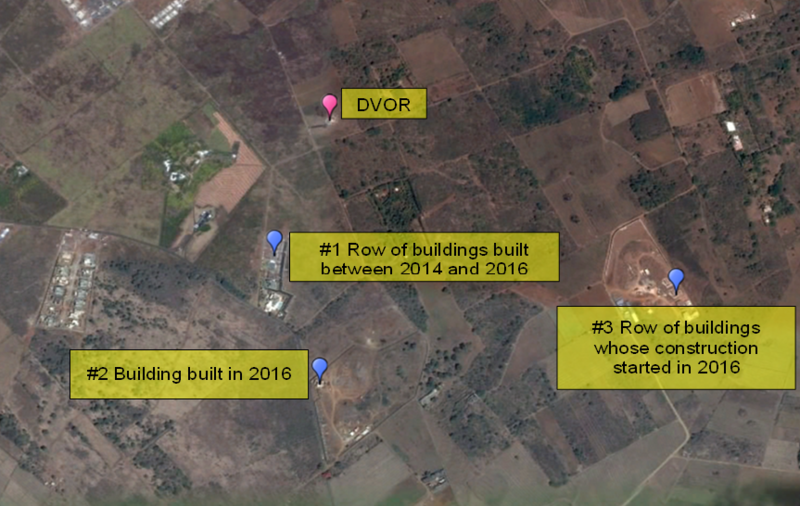 Figure 5 shows evidence of buildings under construction near the DVOR during the period in question. These findings lead to the conclusions that the observed interference was not due to the wind farm and could well have been due to recent developments built in the vicinity of the DVOR. Any risk of the wind farm having to shut down was removed.